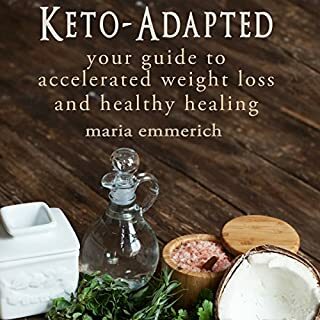 This book explores a world where you can get the results you've always wanted; all you need is the right ketogenic diet and the right workout plan! 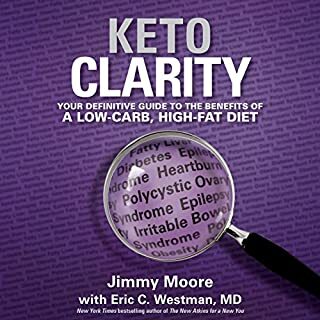 My goal is to give you the tools to lose weight fast and obliterate fat by sharing the secrets to unlock weight loss through your own ketogenic diet in order to get the exact results you want! Are you sick and tired of being sick and tired? Heard about intermittent fasting but when you ask someone about it they think you are crazy? I know! I've been there right along with you. I didn't believe until I saw it and experienced it myself: the weight loss, the boost in HGH, and the energy levels. Thousands of people are discovering how simply eating in a window during the day or skipping a meal can transform not only how you feel but how you function. Are you serious about getting healthier? Do you want to get the results and are willing to do the work and make your dreams a reality? Then this book is for you! Download your copy of this fantastic book today! This is a great read! Good information packed into short and sweet easy to understand. I am a fan of intermittent fasting and recently started using this method the last couple months to drop weight. Excellent book ! 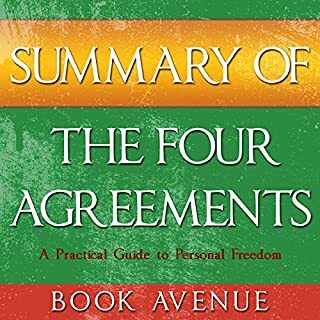 This book is extraordinary and helpful for everybody .Very informational book and easy listen .Highly recommended . Easy to understand what to do and informative. I am looking forward to trying this. Thank you. Hope to make habit. Intermittent Fasting is a great beginner's guide to fasting and how to lose weight safely and effectively. Such a great book. This was more like a pamphlet than it was a book. Very short! I felt it wasn't worth the money. I like that the book was short and straight to the point. Loaded with information and techniques. Very Good listen. Good food for getting started with started with Intermittent Fasting. short and to the point. I like the information on fat burning. 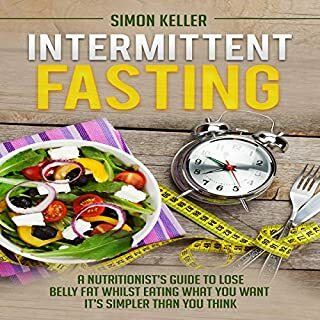 Great Read, provided easy and practical advice on intermittent fasting. You will enjoy it because its short and to the point. This guide is a short sweet listen about the basics to get started with Intermittent Fasting. After listening it I feel like I can start this way of eating effortlessly. Worth the time! Short succinct no nonsense common sense introduction to fasting. I disagree with the use of zero calorie sodas etc during a fast purely from a health point of view. Perfect solution to loss weight and get muscle. 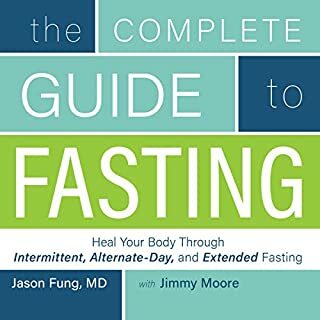 This is an excellent guide for those beginning intermittent fasting. It is written in a friendly yet professional style, and answers all the questions you may have in a clear and brief manner. One of the best for weight loss. Excellent book, very well written and with very clear explanations. Information on HMB to preserve muscle mass whilst training was particularly useful. It well as an alternative to traditional calorie-counting dieting. The fasting is a good way to lose weight, but has other advantages; for example, building muscle, living longer, and improved cognitive functioning. The book starts off with a short discussion of the typical yo-yo diet scenario, which can seldom be sustained in the long run. It is very easy to understand and it was straight to the point with everything. Just what I needed. I have already been fasting for almost a year and it helped me understand what I was doing all along and enlightened me on some things I wasn't so sure about. I love and live by IF and I will never go back to the way I was prior to fasting. Wow! What a great informative book. Intermittent fasting is different from typical diets. Usually you'll put yourself through a bunch of hunger pains and misery only to slowly gain back the weight you lost. With intermittent fasting you'll be able to not only lose weight, but keep it off for life. It has become my lifestyle. 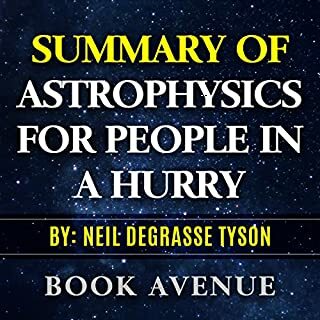 This book will give you so much of the information you need to do IF. I will be listening through it just to refer back to highlighted points as a reminder and to help others with, when I explain how I lost the weight I have through IF! Thank you... I needed this! This is exactly what I needed. enough information. This is exactly what I needed. I am new to IF and wanted just enough information to get me started. This book gave me just that. Thank you!! 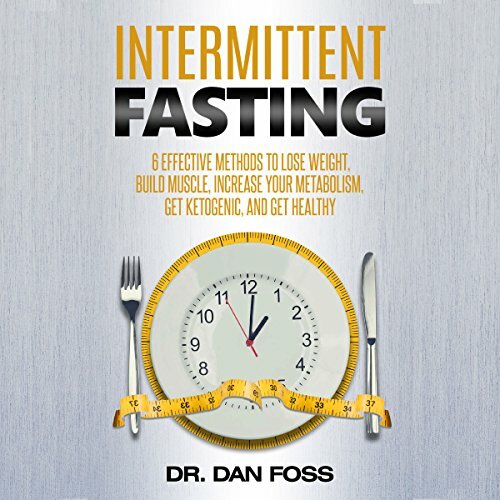 This book will help you learn and understand more about Intermittent Fasting. You will be able to know how it can burn your fats and eliminate those unwanted fats in your body. Great information about Intermittent Fasting. Great information about IF ready to get started. Good information for health benefits. With enough information to get you going. I would definitely recommend this book to anyone interested in learning about this diet!